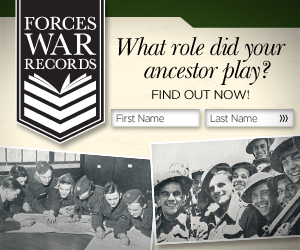 In conjunction with the Army Medical Services Museum the website Forces War Records have now made easily accessible the admission and discharge records of 350,000 soldiers to military hospitals, casualty clearing stations, ambulance trains, etc. These WW1 medical records document such important and interesting information such as name, rank, unit, type of injury or illness, observations by medical practitioners and much more. This is the first time that these important historical documents have been transcribed and are now available to read online. Join now to view the records -use discount code AF40 to save 40% off membership. The first of these rare accounts are from 51st Field Ambulance and are of the men who fought along the Western Front from the 17th Division which was an infantry division of up to 14,000 men from many different regiments. This mobile frontline RAMC medical unit was just 400 yards behind the Regimental Aid Post. This is just the start of such readily accessible accounts because Forces War Records have recently discovered 1.5 million records. Other important information revealed includes the top twenty most common injuries and ailments suffered by the men. These include trench foot, mustard gas poisoning, lice (97 per cent of men were infested), scabies and sexually transmitted diseases. They have published an e-book called Trench Traumas and Medical Miracles which can be downloaded for free from their website. It described everyday life in the trenches and the chain of evacuation for those injured and how they were treated. This has not been an easy task for them since many of the records stored at the National Archives in Kew have never been transcribed before and most have been written in pencil and due to being faint and full of military and medical terms and abbreviations have been difficult to read and understand. Their 50 strong transcription team are currently working on records from the 139th and 14th Field Ambulances, which respectively served the 41st and 5th Divisions.